I have a little extra disposable income from lecture honorariums. But I'm conflicted about how to spend it. I've already ruled out buying a new gen3 iPad. My gen1 works just fine and I don't really need the eye candy offered by the newest iPad. So that leaves me with some gun options. Option #1. 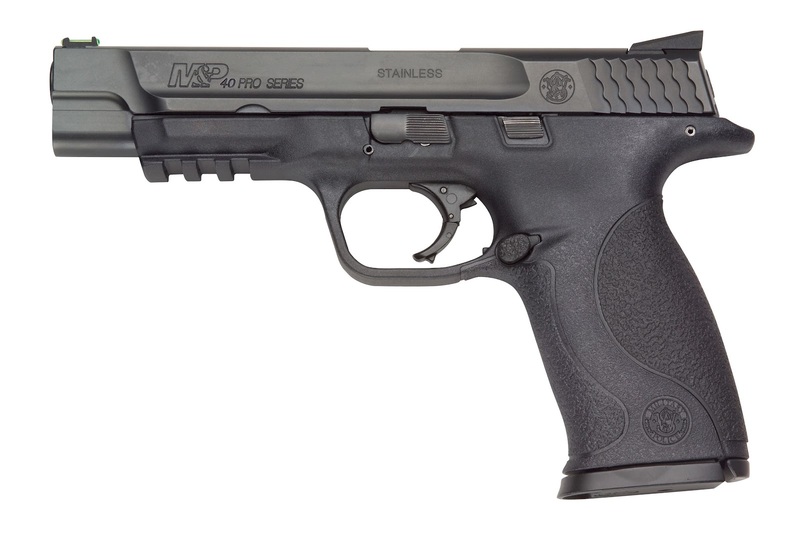 Buy a new Smith & Wesson M&P Pro 9mm. This would be a back-up to the one I already have. I've got a lot of rounds through my M&P and I'm afraid it's going to need some work soon. I can imagine it breaking down at a major match and me not having a back up. If I pull the trigger on this option, then I will be committing myself to shooting my M&P 9mm regularly, both in IDPA and USPSA. The advantages to this are: 1) I've already got the equipment for this pistol; 2) it's a 9mm so I don't have to buy new dyes for my reloader; 3) 9mm rounds are less expensive; 4) I've spent a lot of time practicing and competing with this gun already; 5) the only extras I would have to buy are: a Dawson Precision FO front sight, a DP FO rear sight, and a Apex Tactical AEC trigger kit (all of these to match precisely what my current M&P); and 6) I can easily add a magwell and special basepads to shoot this gun in ESP division in IDPA. This is a really attractive option to me. I can just work on getting really, really good with this gun. I'd be shooting Production in USPSA and in IDPA I could shoot SSP and ESP. I like the idea of sticking with one pistol for a few years and perfecting my game with it. Option #2. Buy a new Smith & Wesson M&P Pro .40 cal. This would give me the same grip and feel as my M&P 9mm. I could move from the 9mm to the .40 cal easily and back again without having to make hardly any adjustments. It's the same gun with a different caliber. I could shoot this gun in IDPA SSP and ESP (with some enhancements). But there really wouldn't be any advantage to shooting a .40 cal over a 9mm M&P in either IDPA division. I could do it, but shooting a 9mm would be better. The one way in which it might be better is if I used the gun to shoot both IDPA and USPSA. I could shoot the M&P .40 in USPSA Limited and in Production (using minor powerfactor rounds). So the M&P .40 would give me more flexibility in both sports. So if I got this, I would probably be transitioning to using it more than my 9mm. By the way, the .40 cal and the 9mm M&P Pro are the same price. Option #3. Buy more bullets, brass, primers, and powder. I'll do this anyway! I guess I really need to decide what my goals are this year. Do I want to do a lot of USPSA shooting (in Limited Division)? Or do I want to do a lot of IDPA shooting with my 9mm – in both SSP and ESP – with some USPSA Production shooting? It appears like the main thing that commends the .40 cal to me is doing more USPSA Limted shooting. But I'm not sure how interested I am in that. Is it worthy buying new reloading dyes, different bullets, etc? I don't know.